A comprehensive introduction to policy and planning approaches, methods, models, ways of thinking, and techniques, Social Group Work Today and Tomorrow is presented in a reader-friendly fashion for persons with no prior formal training in this area. 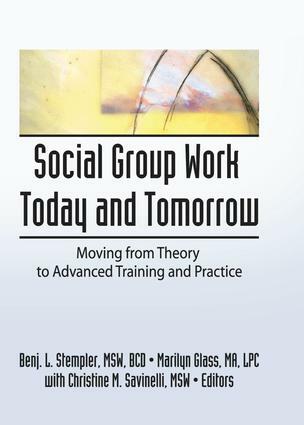 The book teaches social workers, group counselors, educators and students, and practitioners how to apply group work theory to practice in an increasingly time-limited and managed-care-oriented society. Social Group Work Today and Tomorrow converts sophisticated policy and planning concepts and techniques into a form which even non-experts can understand, relate to, and apply in their own practice. Chapters strike a strong note for social group work’s base in an interactionist perspective and for the overall efficacy and uniqueness of the method. Throughout the text, readers learn and explore group types and formats ranging from verbal to activity; from one session to beyond a year; from education to support; and from developmental to rehabilitation. Ethics, self-esteem, identity, and empowerment themes are prominent throughout this work’s pages. Social Group Work Today and Tomorrow is an accurate reflection of the quality, creativity, and energy that made up the Fourteenth Annual Symposium on Social Work With Groups. The creativity and innovativeness reflected in these pages offers new ideas and direction to all of social workers, counselors, and educators who choose the experience of working with groups.